My previous post was about why you should NOT hire a professional Wedding Photographer, and this one is about why you SHOULD hire a professional wedding photographer. Hopefully, they will both help you decide about your upcoming weddings photograph plans. It could save you thousands, and it could cost your priceless memories as well, so do think carefully about your professional wedding photography. In a world where everyone has a camera on them pretty much 24/7, it can be hard to imagine a world without them, but that’s where professional photography started. That’s where photography started. Cameras were huge and mathematical and chemical witchcraft. If you could use one or even afford one, then you were highly sought after. Photographs back in the day weren’t about art per se, but they were about making sure the exposure was correct, making sure it wasn’t too dark or too bright. As technology has advanced this key factor has become less and less of an issue, I mean you can take incredible photos on your phone for sure! But that’s just a photograph. Is it a story? And this is where we find ourselves now in 2019 — a place where a professional wedding photographer is a complete luxury. Because of cameras technical ease (when in full auto) photographers can be found for as little as £200 (facebook groups are full of them). 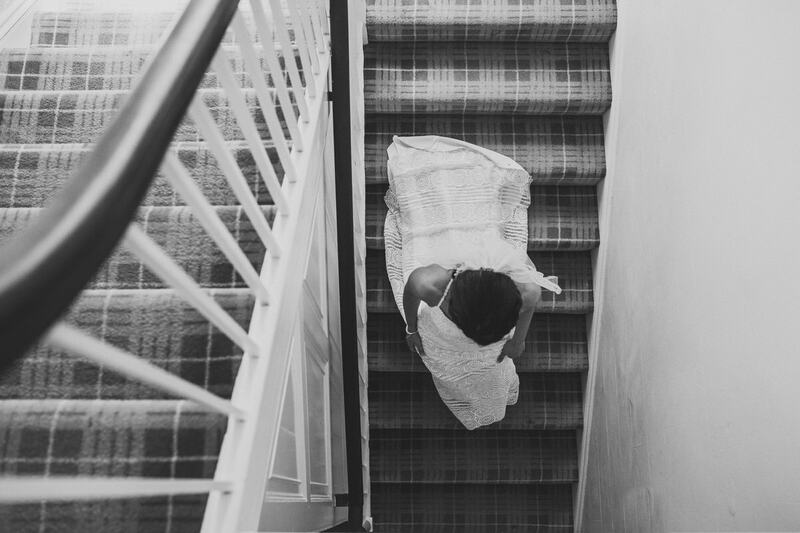 So why should you hire a professional wedding photographer? In short, it is for art’s sake and security. Your wedding day is one of the happiest days of your life and once it is over it is over. The photos and rings are pretty much all that remains. All of the food will be gone and so will the cake. Ideally, on your wedding day, you will be at ease and not stressing out. A professional should be able to cover the entirety of the day from group shots to couple portraits and the documentary aspect of your wedding day. An expert shall be able to make you feel comfortable and natural, not stiff and awkward, these moments are part of your wedding day, so they should be fun and enjoyable. This skill is something that comes from experience and having trust in them. If you feel at ease then this will show in your photos, it will also mean you have more fun, feel comfortable and not worrying or stressing, it would be just like taking pictures with friends where there is no pressure, just relaxed fun and beautiful natural photos. 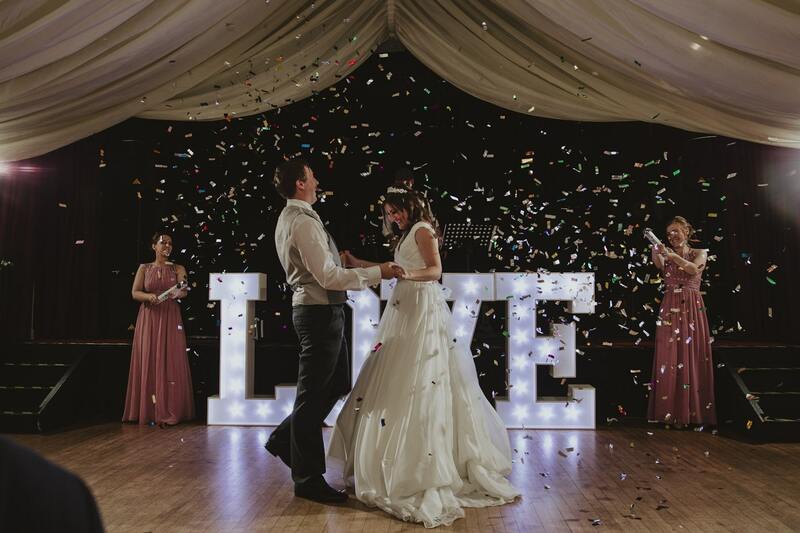 A professional wedding photographer will have experience documenting weddings, they will know the shots to take, and in general, they can be left to get on with their job so you can enjoy your wedding day to its fullest. They will anticipate what will happen next. They will know the flow of the day. They will have scouted the ideal locations for the perfect backdrop. Your wedding day isn’t a photo shoot, its a wedding, its always in flux with only one chance to capture those moments. We don’t like to talk about it but what if…? What if the photographer gets ill, or a family emergency happens, what if the hard drive fails? In the worst case, you have no photos of your wedding at all! A professional photographer will have a backup plan, and they will have contacts to call upon, they will have backups of backups. An amateur may not they do not have a reputation to keep up. For example, I have photographed a wedding two weeks after dislocating my knee, while on crutches. I have shot weddings with second photographers at my expense while coming down with the flu and I have left my car on a road while I walked 2 miles with all of my kit because of a road closure, a tree fell in the road. I later walked back and got my car when the road was clear. Your images are also backed up twice, not only inside my cameras as they have two card slots but also on my computer, they then travel 250 miles to be backed up elsewhere so even if my house burnt down, I still have your photographs all nice and safe. As said above anyone can take a well-exposed photograph now with the advances of technology which means that professional wedding photography is no longer in its entirety about technicalities. It is in fact, as I see it, for art’s sake. I come from an art background, and so for me, this is what everything is about. Photographs exist because I wish them too. I am outside of family politics. I’m not involved in the emotions of the day (although a few I have been teary at) this lets me photograph your day as actually and as artistically as I can with no bias. I’m free to run around and crawl about on the floor while all the kids play chase under the tables. I’m open to express your day as it comes across and I’m free to do so in any artistic way I deem represents you as a couple. People at weddings always ask me about my camera and my kit, and I can see why. I have a lot of it, and I have two cameras on me at all times. For most people they will ask me about it and why I have so much. Simply its because you never really know what might happen but to always be ready for it. However it is not really about my kit. while I may have nearly £9,000 of camera equipment on me at any one time it is about my eyes, my mind and how I think. It is about the image I create in my head for every single moment of your day and my technical know-how to reproduce those mental images into visible photographs for you to love and adore for generations. So, do you need a pro? If you value art, quality and peace of mind, the answer is yes. However please do feel free to read my previous blog about why you should not hire a professional wedding photographer. If you’re now wondering how much you should budget for a professional wedding photographer, then you can click onto my budget calculator, which will tell you the national average spend on photography based on your overall wedding budget. Or perhaps you’d like to find out more about having me capture your big day? My contact form is always open, so feel free to ask more questions, and I’ll help as much as I can.